2. Sheryl adjusting her tiny hat while Ranka looks on. 4. 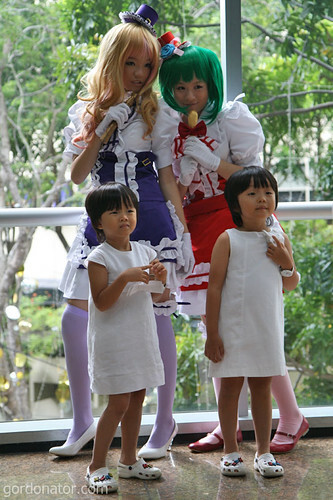 Kids has no idea who Sheryl and Ranka are. The parents made them do it. 11. Lovely ladies giving out bags. Will be a sin if I didn’t ask them for a shot. No ideas why they are weaing the Asuka’s Hair Clips though. Maybe it matches their uniform? 12. 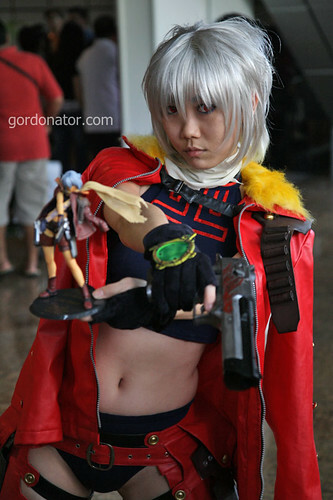 One of the veteran local cosplayers. 13. 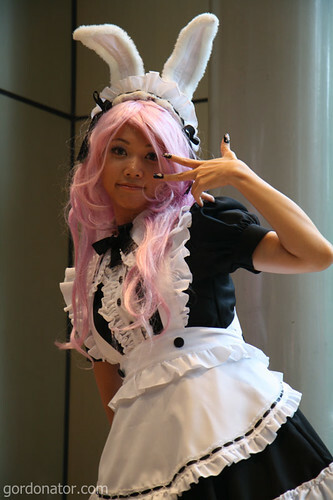 This bunny ears meido is very professional and did many poses for the photographers. 14. 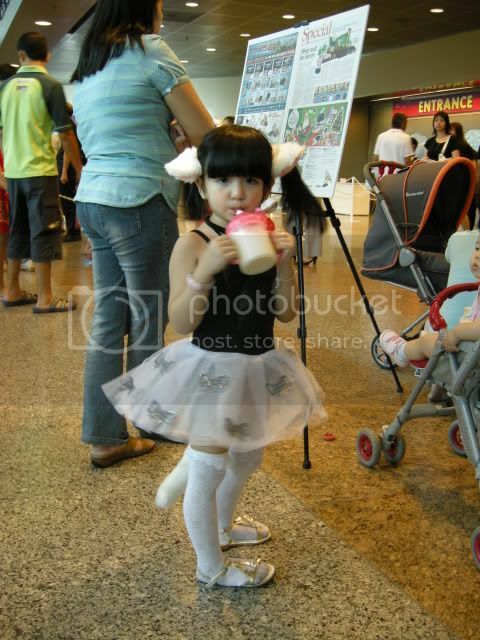 A pity she is wearing tights which covered her whole legs which should have been zettai ryouiki. 15. Thus I didn’t take any pics of her legs. 16. I don’t know who she is or who she is protraying but I do know she has a small cute face. 19. 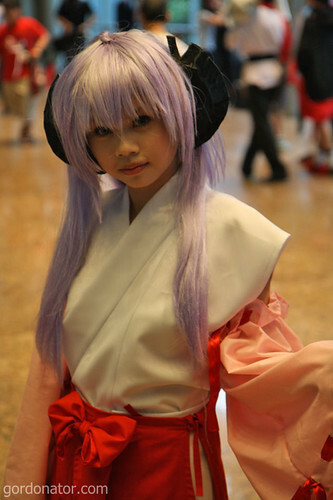 Another adorable kid. She was wearing nekomimi, a tail and long socks. Too bad she is camera shy so this is all I can get. Must work on my ninja skills. 20. Big Jo and little Jo. That Alter Jo figure is extremely hard to find nowadays. Feels like watching Burst Angel. Is it good? 22. One of the many Black Rock Shooter(s) around. OK that’s all from me. 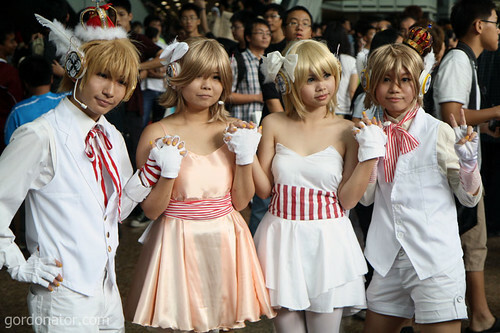 There are plenty of epic cosplays like the ones below. Both Ranka pics by Data Ronin. The Banzai! Effect guys has more as well. Here and Here. They are all quite good, if not decent….until I saw the last one. Saw yr out-of-costume pix on danny’s page. looking good. there was a very cute Japanese boy probably bout 5 years old dressed as Zelda on sat. he would hv won any cosplay contest hands down. 16. 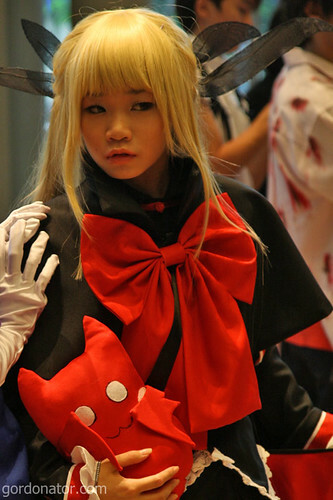 Rachel Alucard from Blazblue. I saw in The Banzai! 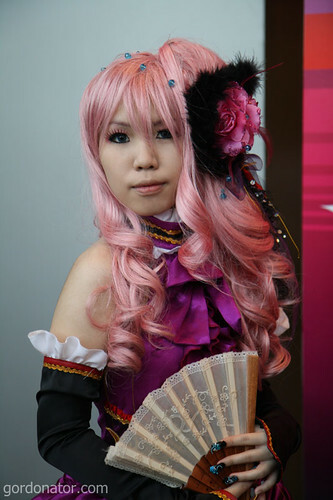 Effect some other pics of a nice Ranka cosplay too! 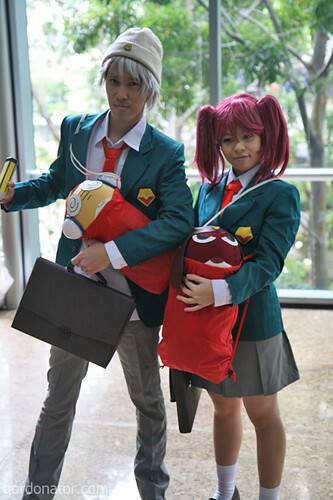 I really love that shot you took of the BRS cosplayer. Looks like a very natural laugh. awww ur ninja skills never lvl up. Love the Asuka hairclip girls. If I had a camera, all the pictures in it would be of them.